Friendly and professional staff can assist you with notarizing any important or legal documentation. Walk in any time and receive officially notarized documents from our local staff in Austin, Tx. Get friendly, fast, and professional notary services. From real estate deeds, contracts, loans, or affidavits – Pak Mail Austin has commissioned and insured Notary Publics on staff to help you. Even when notarized documents aren’t mandated, they are wise precautions to protect any important or legal documents. For many people, the bank is a less than ideal solution for notary services. They often require appointments, have limited hours of operation, and some even limit the notary service to only documents that are their own! This leaves many people in Austin looking for a better customer service option, with speed of delivery and confidence in the legitimacy. That’s where Pak Mail Austin can help. All of our notary publics are officially certified by the state of Texas and have combined years of experience to walk you through the process with ease and confidence. You’ll never have to wait for an appointment and are treated warmly by staff who have been rated one of the top customer service locations in this industry. Stop by any of our locations whenever you have a need for notarized documents. If you have any questions or want to get options, give us a call. We’re happy to share our knowledge in order to provide you with the best experience possible. We can easily assist you with contracts, agreements, affidavits, statements, vehicle transfer titles, or other important documents that you need for business purposes. We can assist you with medical documents, adoption paperwork, power of attorney, or any other documentation that needs notary services. If you need travel consent forms for your child, timeshare agreements, traffic school documents, or other important travel-related documents notarized, we can help. 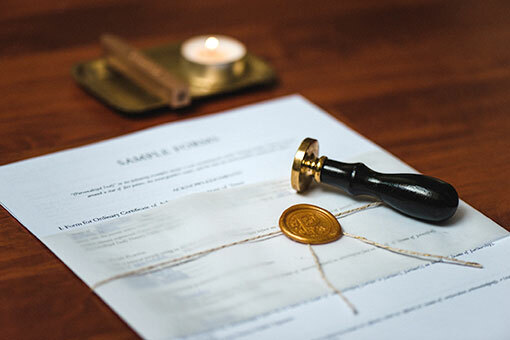 We service all birth or death certificates, deeds, trusts, wills, and any other family-related documents that would benefit from having a notarized signature. A Notary Public is defined as a public servant appointment by the state of Texas government to witness the signing of important documents as well as administering oaths. A notary public is responsible to notarize any document that the originator needs to ensure the integrity of the signer. The Notary public verifies identity and signature – to help deter fraudulent executions of important documents. How Does a Notary Verify Identify? A notary will ask for a government-issued document with a photo (such as a Drivers License or Passport). They use this, along with a signature to determine authenticity. Can a Notary Public Help Prepare My Documents? Unfortunately no, a Notary Public can only witness the signing of the documents and is not legally allowed to assist or prepare any of them. This helps keep the notary impartial to signing by witnesses. This benefits both the document creator and signer – as it keeps everything legal and ethical. Can I Get Documents Notarized via Email? No, all documents required notarized signatures must be done in person so they can be verified and witnessed by the Notary Public. Yes, a Notary Public may refuse to perform the notarization if they cannot be certain of your identity, or if they cannot be sure you are understanding what you are legally agreeing to with the signing. Additionally, the notarization is not legal if it is determined they have a financial interest in the document and therefore are not impartial.